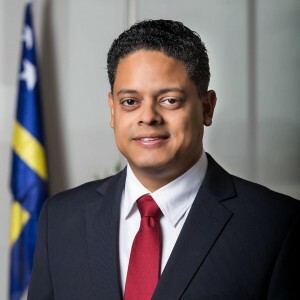 WILLEMSTAD - Now that Venezuela still does not allow any maritime or air traffic to the ABC islands, according to the Prime Minister of Curaçao, Eugene Rhuggenaath it is time to ask the question again why the South American country took the measure against the islands in the first place. “We will bring forward the urgency of the situation through diplomatic channels and also point to the urgency to formalize the agreement that was reached two weeks ago,” says Rhuggenaath. The last meeting that was supposed to take place between representatives of Aruba, Curaçao, the Netherlands and Venezuela to further talk about the measures to combat smuggling of mainly metals from Venezuelan was canceled. It was canceled because the agreement was not signed. “The measures will remain in force for the time being. The only thing that we have achieved is that people with a Dutch passport who were stranded in Venezuela can come home. We do our best to get in touch with them to provide a solution,” says the Prime Minister of Aruba Evelyn Wever-Croes. According to sources, there are still people stranded in Venezuela waiting for a return to the islands. The seizure of crude oil tankers for the oil refinery in Curaçao could well be one of the problems for Venezuela, according to Prime Minister Rhuggenaath. “If there are other reasons for border closure in Venezuela, it is important to make that known now. We cannot think of any other reason. And Curaçao has nothing to do with the seizure of tankers with crude oil. In our constitutional state, companies have the option to seize properties if needed to demand payment. We have nothing to do with that,” says Rhuggenaath. Prime Minister Rhuggenaath advises citizens not to go to Venezuela, as long as the measure in force. He emphasized that the Netherlands already issued a negative travel advice for Venezuela last year. The Aruban prime minister also advises citizens not to travel to Venezuela if it is not very urgent. “Whoever has to travel is wise to go through another country, such as Colombia, Panama or Santo Domingo. We do not want more people to get into trouble. Those traveling to Venezuela do so at their own risk,” warns both Prime Ministers.